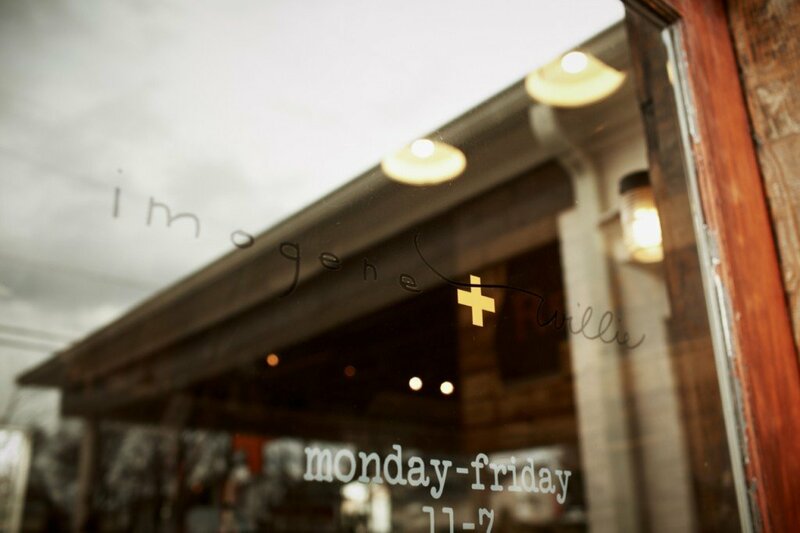 We can’t seem to stop raving about Imogene + Willie, and the community that the store has helped to foster in Nashville. Nearly every person that we met with while we were in town is connected to the store in some way—either their product is carried there, they used to work there, shop there, or are simply friends with them. Regardless of the connection, they’ve brought together a really phenomenal group of people. The store has garnered a ton of press lately, but it has humble roots. The shop was once a George’s Transmission shop, just as Barista Parlor was, and Matt and Carrie slept in the upstairs loft. Since then, the team has grown to the extent that their team overspills to their home in East Nashville to work. From everything we’ve heard, it sounds like more of a family, not unlike our own office. Not only were we parked outside with our bus for a few days, but we also visited during our free time to do some shopping and hang out with their team. Coincidentally, Mic from Parlor and Juke stopped in just as we were trying on jeans. With Carrie’s guidance, we ended up trying out quite a few pairs—we were really set on the Elizabeth, their pair with an extra-high rise, that we’d seen both her and Elise wearing throughout our time in town. Their entire team has a great eye for denim, and are full of suggestions in regard to fit and tailoring. Aside from denim, the shop carries our ideal closet of goods—perfectly fitted silk shirts and worn cotton t-shirts, durable leather boots and PF flyers, Pamela Love jewelry and of course, Emil Erwin leather bags and ties from Otis James. The selection is limited, yet perfectly curated. Considering the selection they have in the store, we’re thrilled to have our frames included (especially within a display built by Sideshow Sign Co.). We have to extend a huge thank you to the Imogene + Willie team for their hospitality while we were in town! We certainly hope to make a trip back again.